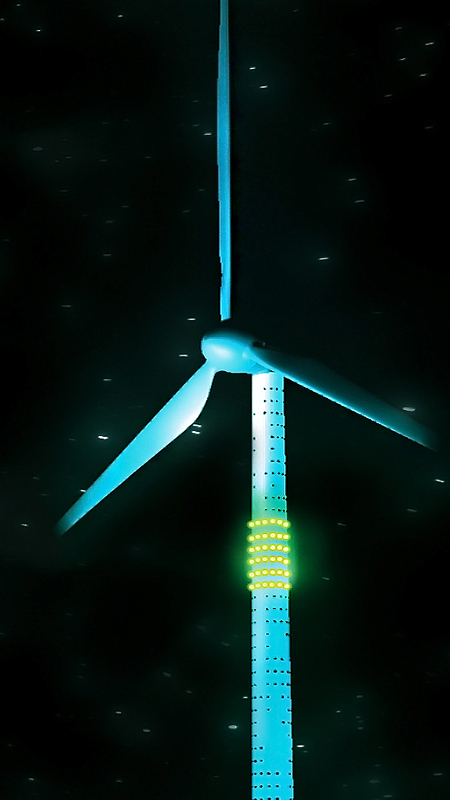 mbeam developed an innovative light art concept for the Munich public works department, which turns the wind turbine on the Fröttmaninger Berg, (near Allianz Arena) into a “StormLight”. The idea: Energy is taken for granted by most pople. Electricity comes from the socket and seems to be available infinitely. 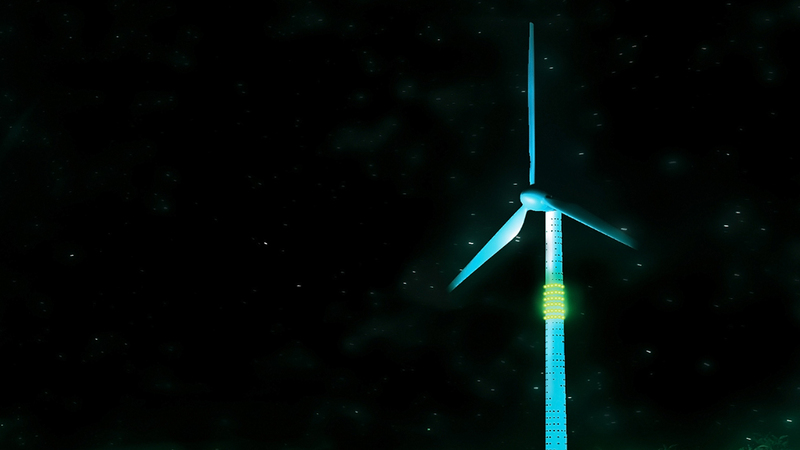 In order to raise awareness for the importance of renewable power generation, it is necessary to initiate a vivid, visual experience. 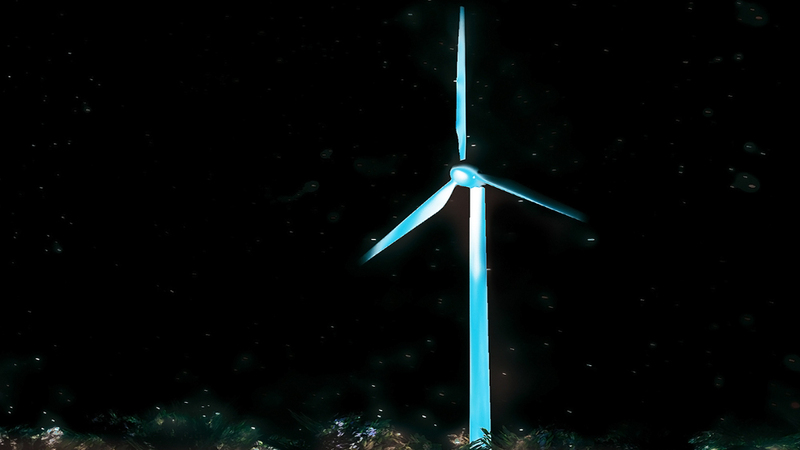 The wind turbine lights up in blue – and appears gently and in a timeless beauty. 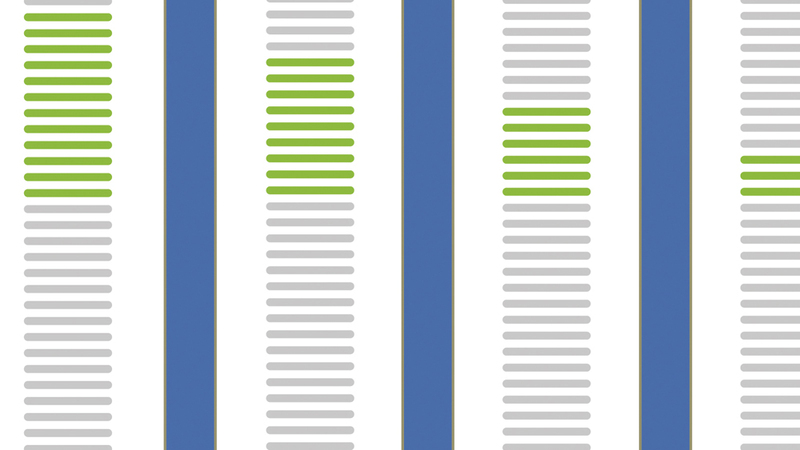 Additionally, luminous green light dots mark the current energy efficiency. When the wind blows stronger, the number of light (dot) circles increase. The appearance of the StormLight is dynamic and constantly changing. The “green” energy flows symbolically top down. Quietly yet vitally.